Want to make everyone at work jealous? 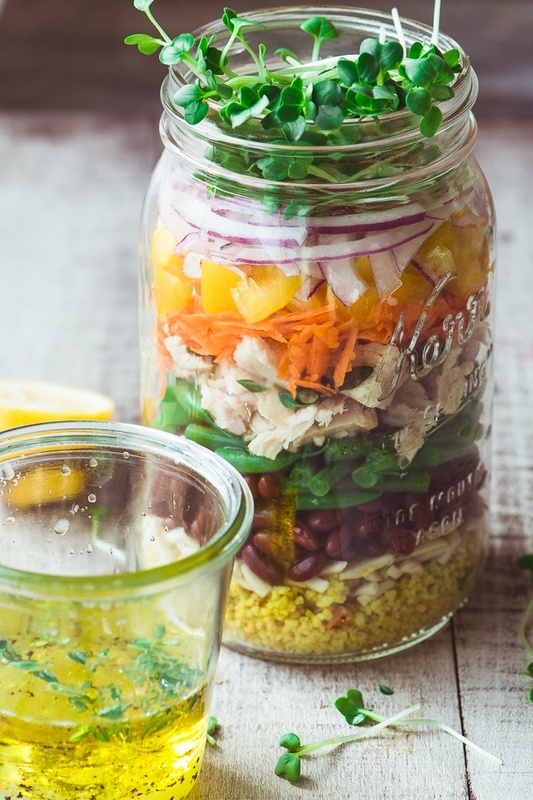 Pack one of these colorful and healthy layered Tuna Salad Jars for lunch ~ it's a sure cure for the brown bag blues! Layer large quart sized wide mouth mason jars with the ingredients in the order listed. Season the layers lightly with salt and pepper if desired. Whisk together the dressing ingredients and taste to adjust anything. The dressing can be layered right in along with the ingredients, or added just before eating, it's up to you. Store the jars in the refrigerator for up to 2 days.